Midwest winters are pretty unpredictable. It can seem to be warming up one day, then the next day we are hit with a blanket of snow. During the winter season, we take the extra precautions to rid our driveways, sidewalks, and vehicles of snow and ice, but what about our garage doors? When the temperatures fall and the snow starts to fall, it can have an adverse effect on your garage door as its operation. 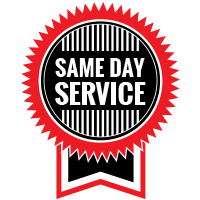 At Garage Door Doctor, we have seen many cases where snow and ice lead to costly garage door repairs. Don’t let the winter conditions affect the convenience and operation of your garage door, follow the tips below to avoid garage door repairs. How Does Snow and Ice Damage Garage Doors? Protecting your garage from snow and ice is important, especially in Indiana, where winters are often cold and windy, as both can cause issues for your garage door system. Letting snow and ice accumulate around your garage, the following issues are more likely to happen. Avoid piling snow. Try to keep snow from piling up on your garage doors threshold. Too much snow piled up against your garage door can cause it to dent or have difficulty opening. Plus, the debris in snow can damage the integrity of your garage door threshold, which can mean a lapse in energy efficiency the risk of potential damage to the door. Remove ice. Ice can cause a serious problem for a garage door. Ice often forms along the threshold of your garage door. When ice accumulates on the threshold, your garage door opener has to work extra hard to pull the door away from the ice. This can cause damage to your door or your opener, so clear away the ice first. Clear before closing. If your garage door has been opened long enough for snow or ice to develop along the threshold, clear it away before closing. If you close your door on snow and ice, the automatic reverse mechanism may kick in. Or worse, your garage door may close and be stuck. Get a weather-resistant garage door. Weather-resistant garage doors can withstand the harsh winter conditions. These doors perform better over the long term and help homeowners avoid expensive repairs that come with cheaper alternatives. Plow carefully. Make sure your plowing service knows to leave some space in front of your garage door. While plowing services are doing their best to do a good job, they aren’t always mindful about the fact that their work and their snow plows could damage your garage door. 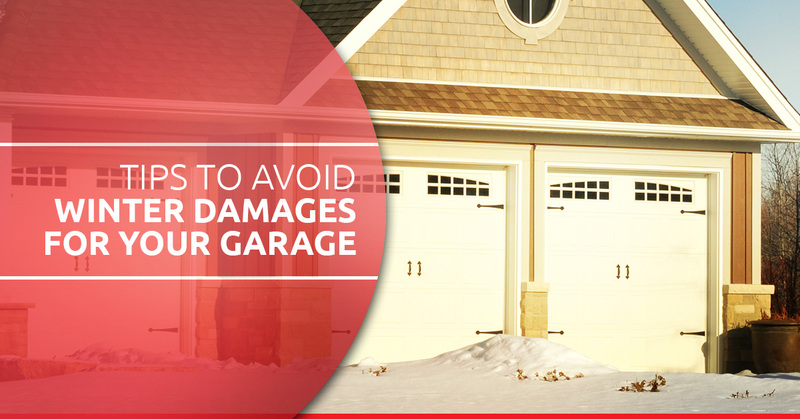 Following the above tips will help you avoid garage door damage from ice and snow this winter. 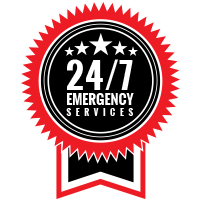 Keep in mind, when you need help repairing or maintaining your existing garage door, or choosing a new garage door that can withstand the harsh Midwest winters, contact Garage Door Doctor and our team of experienced technicians.